Steve and I fell in love with Helsinki. We went in the wintertime when the city enchanted us with its snowy landscapes and stylish culture. Over a third of the city is made up of parkland and it sits on the coast, meaning you’re never far from a slice of awesome nature. It also knows how to do the indoor and is filled with cosy cafes, charming restaurants and quirky boutiques, not to mention the saunas, which are a reason to visit unto themselves. Here’s a little guide to help get you started in this gorgeous city. 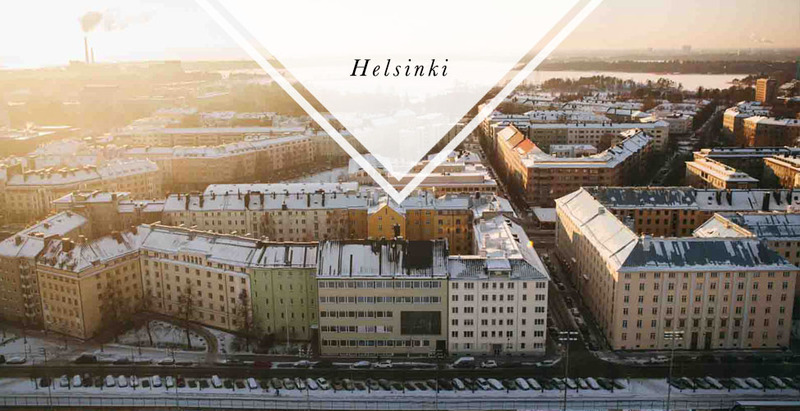 Like with most major cities, Helsinki sprawls into suburbia and as a visitor you’ll most likely concentrate upon the central part of the city. These are the main areas we explored. Kampii and Kluuvi are the bustling hub of the city centering around the Central Railway Station. You can find many of the city’s museums and galleries here as well as the main shopping district filled with restaurants and shops. The design district is made up of about 25 streets and over 100 shops. You can get a map of the area at Design Forum Finland, and each shop has a black sticker to mark it as a design shop. The Mondo guidebook said Kallio was full of “hipsters and bums” and I’d say it was about right. This trendy district has an edge to it but as with all places touched with the hipster wand, it is slowly becoming gentrified. There are tons of cool cafes, restaurants and shops to explore. The Töölo area has a pleasing mix of beautiful old building and the scenic Töölo bay. It’s a wonderful area to walk around in and appreciate Helsinki’s natural beauty. 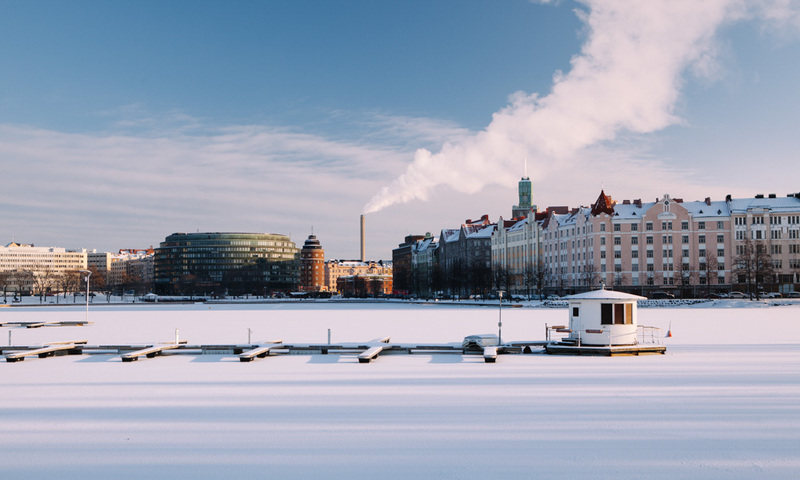 Considered to be the most happening area of Helsinki, this arty district is home to a graffiti wall that’s updated daily as well as a circus centre, and many festivals and concerts. A visit to Helsinki wouldn’t be complete without a trip to the sauna. Try a truly local experience at the Kotiharju Sauna in Kallio, or opt for the new Kulttuurisauna (culture sauna). The latter also hosts events and is close to the sea, so if you’re feeling brave you can swim in the sea. There’s an ice rink romantically set just outside the Central Station where you can hire skates and dance around the ice surrounded by some of the city’s finest buildings. When the sea ice gets thick enough, tour skating tracks also open up around the coast. There are some beautiful walks in Helsinki, especially around the Töölo Bay. You can simply walk or maybe try some Nordic Walking where you use ski poles to give a more rounded workout. The Finns have their own version of the Argentine tango so why not take a lesson while you’re there? We even had a go in the snow! Explore Helsinki’s food culture at one of its markets. The more touristy, but nonetheless beautiful, option is the picturesque Market Square. For a more local experience go to the Hakaniemi market in Kallio. Both have numerous cafes and tons of stalls. 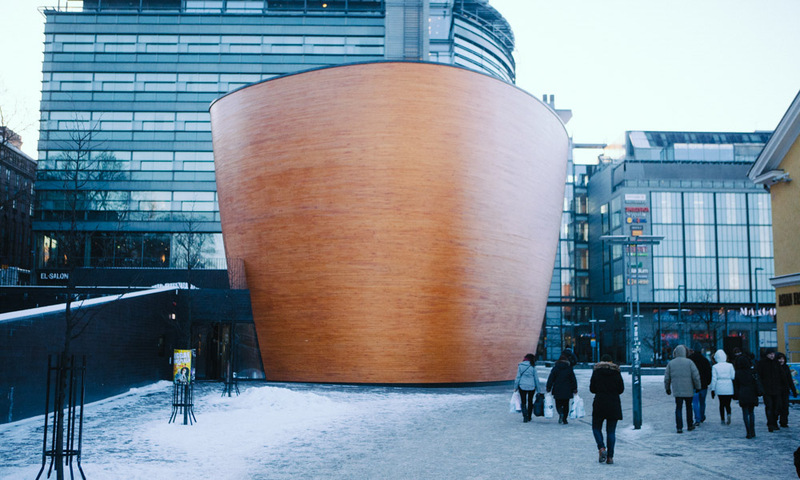 Take some time out from the city centre at the Kamppi Chapel of Silence, a wooden chapel where anyone is welcome to meditate. 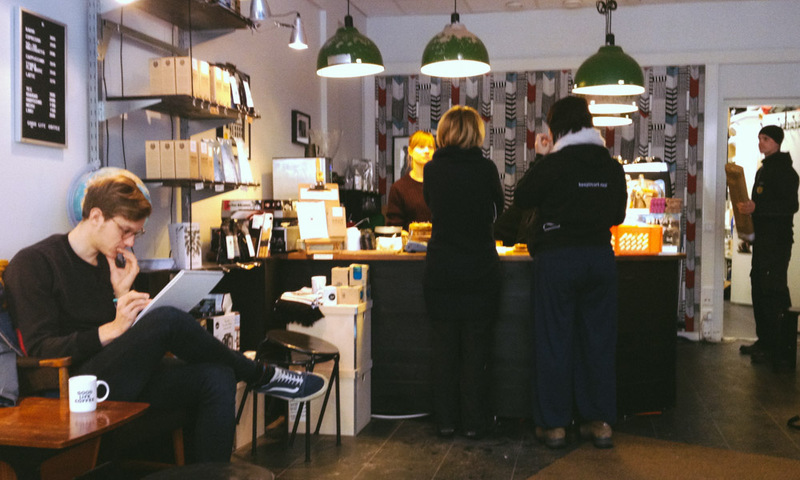 A great little hipster café in the trendy Kallio district. It takes its coffee seriously and has won awards for its brews. 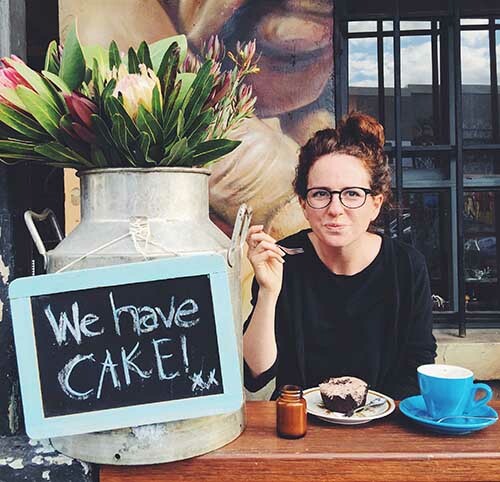 A homey café with sweet treats and healthy smoothies in equal measure. They also host interesting themed brunches such as yoga or flea market-themed meals. This modern bakery was home to the best cinnamon bun I ate in town, and also had some incredible breads. It was just round the corner from our studio in Kruunuhaka. This is great lunch spot with an extensive vegetarian buffet, which is charged by weight. There’s also a wide range of excellent deserts and healthy drinks. It’s a light and airy space with a convivial buzz. Good if you’re on a budget (just don’t choose the heavy food). This restaurant buys only what it needs for the number of bookings each day so if you’re vegetarian, be sure to let them know in advance. The inventive, wholesome dishes use local and organic ingredients and you can taste the care that has gone into each meal. A21 is perfect for special occasions. It’s an experimental dining restaurant where your gourmet meal is served as sensory 5-7-course journey. One room is themed with the Northern Lights, and there’s another that seats just two. 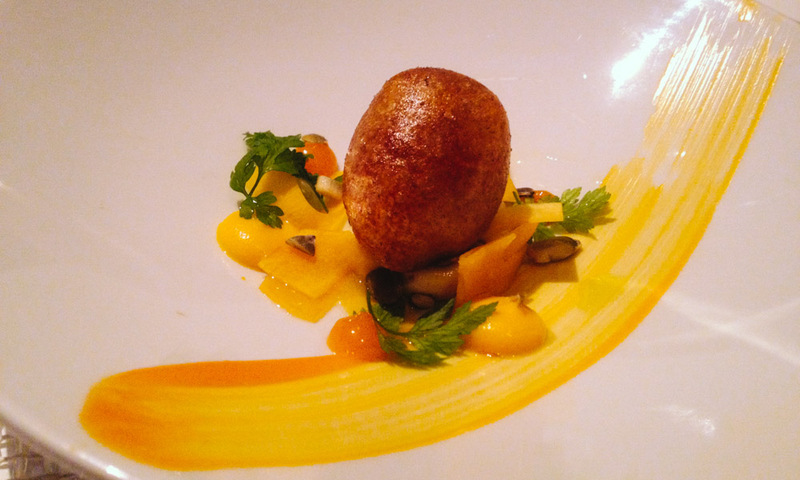 All seven courses can be made vegetarian, and each comes with a perfectly matched drink. We only went to Siltanen for its famous Sunday brunch (delicious) but it’s even more popular come nighttime for its varied DJs and hipster vibe. Putte’s serves what is widely regarded as Helsinki’s best pizza and we can testify to its excellence. The trendy yet low-key bar is also a good nighttime spot. If beer is your drink of choice then Latva is a great place to sample the best of Finnish microbreweries. There’s also an impressive wine and cocktail menu. 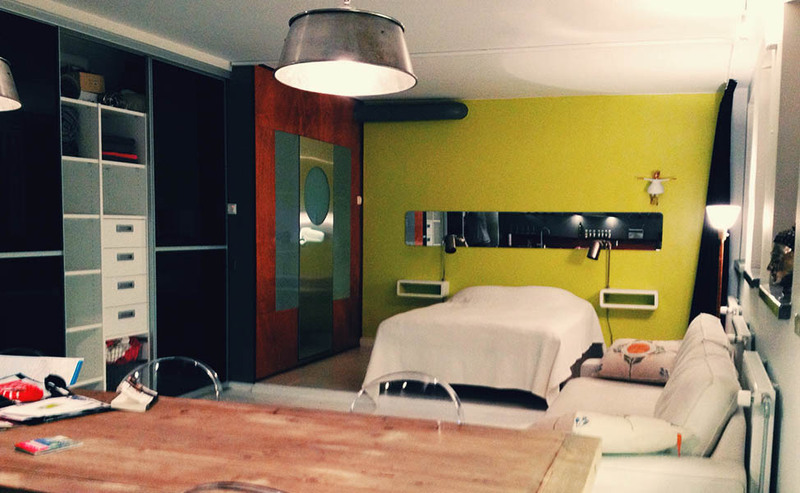 We stayed in a stylish studio called Villa Studio in the Kruunuhaka district, which can be booked on AirBnB. It really helped to make our stay, giving us an insight into the life of local Finns and offering a cosy respite from the winter weather. It made it hard to leave. There are also plenty of other options on Air BnB and the city has many hotels and hostels. Our favourite way to get around the city was on the trams, which are easy to navigate and have the added bonus of being a beautifully romantic mode of transport. There’s also a small metro network and lots of buses. You can buy single tickets or choose a transport card lasting from 1-7 days. We got a 5-day ticket, which costs 24 euros and is valid on all modes of transport.